Blackthorne Partners adds value during all phases of plan execution. We consistently yield outstanding results for our companies and investors due to decades of experience and our expertise in the areas of due diligence and business development. We screen many opportunities and narrow them to a handful of great companies, resulting in potentially one or two investments per year. Confirm or promote leaders identified during the due diligence process. Develop 100-day plan that addresses other needs. For example, implementing more sophisticated financial systems or strengthening sales/marketing initiatives. Ensure an effective transition by focusing the talents of the management team on mutually beneficial goals. Work with the management team to reach predetermined benchmarks. Build the business through organic growth. Execute add-on acquisitions, where appropriate. 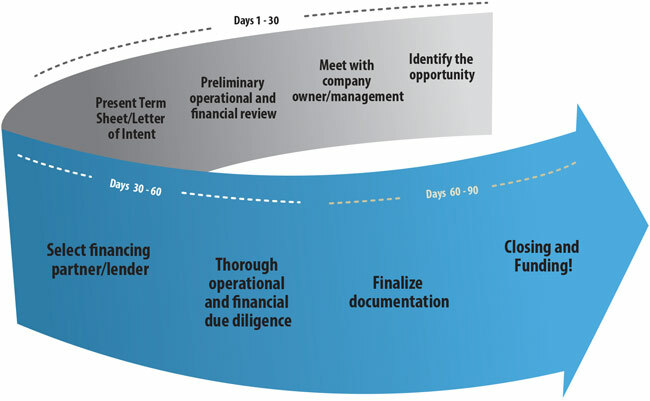 Review opportunities to exit the business when the timing is most advantageous. "I appreciated their understanding of all facets of the business, which made the entire ownership transition process easy. Dealing with the team at Blackthorne was a pleasure."